In 2014 there were many changes in social media, and we expect that trend to continue in 2015. Companies will continue to build their internet marketing strategies and continue to rely on social media platforms such as Facebook, LinkedIn, Twitter and Google+. For 2015, however, video and video sharing will be the growing content of choice. Who would have though that video sharing on Facebook would overcome Youtube as the most common sharing platform? But it has! Pretty powerful stuff when considering how to best market your company! You should develop a plan for video ... create great, targeted, high-definition video content that can be shared across your entire range of social media channels. 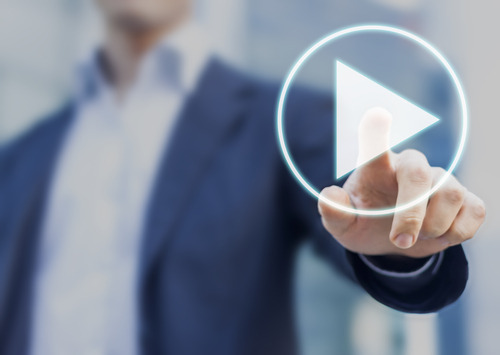 Videos should include targeted calls to action to drive viewers back to your website and social channels. Creating video for your business is easier than you think! People get stifled by the misconception that business videos must be professionally produced. Nothing could be further from the truth. It's called social media because consumers want you to be SOCIAL ... when it comes to small business, people buy from people, not from companies. The businesses that have the most success with social media and video are those that keep it real and build social relationships with their fans and followers. That means if you have a smart phone, there's no excuse not to have video on your social channels. You can record your best customers giving you a testimonial (social proof), build a video FAQ library where you answer common questions from prospective customers, take video of your team and let your customers get to know them ... the possiblities are endless. Free basic tools link Animoto.com allow you to use royalty free music tracks, import your photos and video clips, and click a button to produce a beautiful business marketing piece. Add video to your business marketing plan for 2015. You won't regret it! Paid Ads on social websites will become increasingly unavoidable, requiring fees to market your business. When searching locally, Google searches will expand over to Google+ profiles and pages to include these results. Something to think about if you do not have a Google+ profile. Republishing your top posts will allow you to capitalize on your most engaging content. You will reach additional audiences that you did not reach with the first post. Personal interaction with your followers will continue to be very important. Building trust with your potential clients in responding to their feedback and comments will continue to be critical. Facebook is still king, but a combination of Facebook, Twitter, LinkedIn, Google+, Blog, and other social media will allow you to reach the largest audience while positively affecting your search engine ranking! 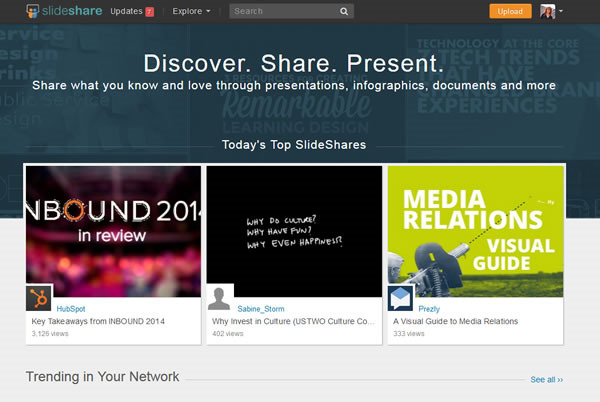 SlideShare launched several years ago with the goal of share knowledge online. Since then, SlideShare has grown to become the world’s largest community for sharing presentations and other professional content. How Does Your Business Benefit from Slideshare? SlideShare consists of more than 15 million uploads from individuals and organizations on topics ranging from technology and business to travel, health, and education. Share the content that matters to you with your colleagues, customers, friends and followers. SlideShares can be embedded into websites and blogs, and are easily shareable on LinkedIn, Twitter, Facebook, and other popular social media platforms. They can be viewed publicly and privately. Connect with other SlideShare users via comments, “likes,” and profile pages. Have content, presentations, photo collections or expert knowledge on a topic? Upload it to SlideShare and you'll reach a wide audience! If the viewer wants to download the original presentation, he/she is prompted to fill out a short contact form first. SlideShare is more than PowerPoint. You can also upload documents, including PDFs. Why EVERY business doesn't take advantage of this feature is beyond us. It's simply another way to publish your information and make it easy for people to share. TIP: Be sure that you include your contact information on EVERY business piece you publish, as well as a call to action! Don't stovepipe your marketing efforts across the social channels ... be sure to share and promote across all of them. Certain segments of your audience may only be on Facebook and may have never heard of SlideShare. If you aren't promoting your SlideShare channel on your business Facebook page, you could be missing an entire group of people. Add your SlideShare content to your LinkedIn profile summary page. LinkedIn has really become the go to platform for business to business marketing, network building, and reputation growing. Tying your SlideShare presentations to your LinkedIn profile can only enhance your credibility in your field. People learn visually. Any time they need to know how to do something these days they Google it. 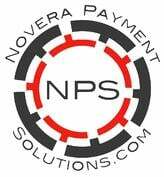 This is a perfect combination for your business! A great "how to" guide featuring something in your service arena or area of expertise on SlideShare can be indexed by Google and findable by your prospects. This type of content is highly popular and very sharable. Did you know you can add voice-overs in PowerPoint? If it makes sense for your content, include a voice-over in your slides. When you upload the presentation to SlideShare, the voice-over stays with the presentation and can be listened to by anyone viewing it. Talk about powerful! When you upload a presentation to SlideShare, they offer you a nice little "widget" that you can send to your webmaster to add to your website. This literally embeds the presentation right on your website. Visitors don't have to leave your website to view the presentation. If you've added a lead generation form to the presentation in SlideShare, this carries over to the embedded presentation too. Shhh ... it's a secret! Facebook is rolling out a new look to business pages in April 2014. The new look not only allows visitors to view your business information more easily, but it also helps your page administrators better navigate through the available Facebook business tools. No more jumping from the left to the right to read the most recent posts on a business page. The new timeline design for business pages will be similar to the news feed and current personal profile timelines. Now you will see the most recent posts on the right side of the page, while the left side of the page is filled with your business information. All of the information that is currently horizontal along the top of your business page will be moved to the left-hand column on the timeline. This information includes a map, your business hours, phone number and website URL. Your videos, photos and apps will also be featured in the left-hand column. Below that information you will find your reviews and posts by others on your page. Now your posts will be the first thing visitors see on the right instead of who likes the page and posts by others. Wherever you are on your page, you will always have access to the most important information for business administrators: page likes, post reach, notifications and messages. A box on the right-hand side will display these numbers for you to easily view at anytime as it moves along with you while you scroll down the page. Instead of the current admin panel you have at the top of your business page, the new layout features a navigation bar where you can easily access the specific information that you want. These tabs include Activity, Insights, Settings, Build Audience and Help. On the Insights page, you can access the statistics on your likes, reach, engagement, visits, people and posts. The Build Audience tab will provide access to your Ads manager. Currently, there is a spot in your admin panel where you can add pages to watch such as your competitors or other pages related to yours. This feature has been moved to Insights tab in the new admin navigation bar. In the Overview section, you can see some key statistics about the pages you are watching and compare them to your own page. You can view more detailed information on what posts are working for them and their engagement over the past week under the Pages tab of the Insights. This feature allows you to stay on top on your competition! The Facebook tabs for photos, events, apps and more that were customizable with photos and text will no longer appear horizontally under your cover photo. These are now available under the more tab and in the left-hand column of the newly designed timeline layout under your business information. 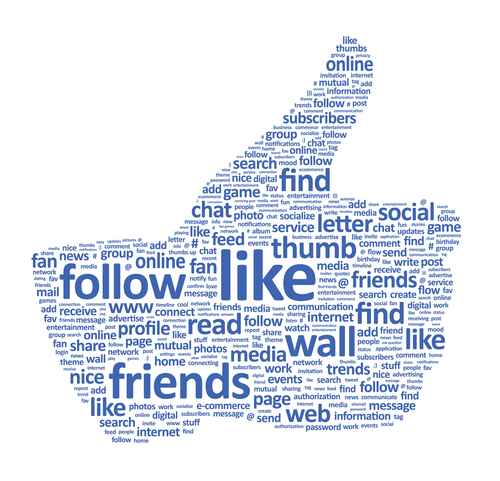 Visitors to your business page (who have not already) will be encouraged to “like” your page. As they are scrolling through your timeline looking at the content, a white bar prompt will pop –up that says “Get updates from Your Business in your News Feed” with a call to action button to “Like” your page. As the visitor scrolls down, the bar floats along with them so it is always in front of them while they are on your page. Administrators should watch for a notice as Facebook gradually rolls out this new look. Once you have clicked to reserve your spot on the waiting list, give it a few days for the new version of your page to appear. As with other updates, Facebook is known to reset your page settings to a default setting. This can actually cause some of your posts to be hidden which will result in a “Facebook Oops” graphic on your page instead of the content you intended to be shown. Once you receive the new 2014 Facebook page layout, be sure to check and reconfigure your settings where needed.